It is important that you look and feel special on your wedding day, and that often involves an elevated beauty look that sets the day apart from all the rest. Maybe it's a new shade of elegant eye shadow, a romantic new perfume or a hairstyle you've never had the time (or perhaps ability) to master. Traditional braids falls into that category. 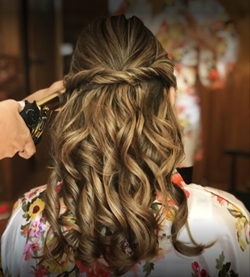 From elaborate French braids to boho fishtail braids and all other manner of styles, Sammi is both experienced and licensed under the State of Florida provisions of Chapter 477FS. Show us a picture of the braid that you fell in love with online and Sammi will replicate it to make you look stunning. Sammi uses the latest in Airbrush Makeup Application. Airbrush Makeup is specially formulated water based, hypo allergenic Makeup that is sprayed through an Airbrush tube using a small air compressor. Airbrushing is the most sanitary form of make-up application because products are never re-used. Lasting 18 hours with minimal touch ups, you are set for your entire wedding day and the application is sweat, smudge and tear proof. 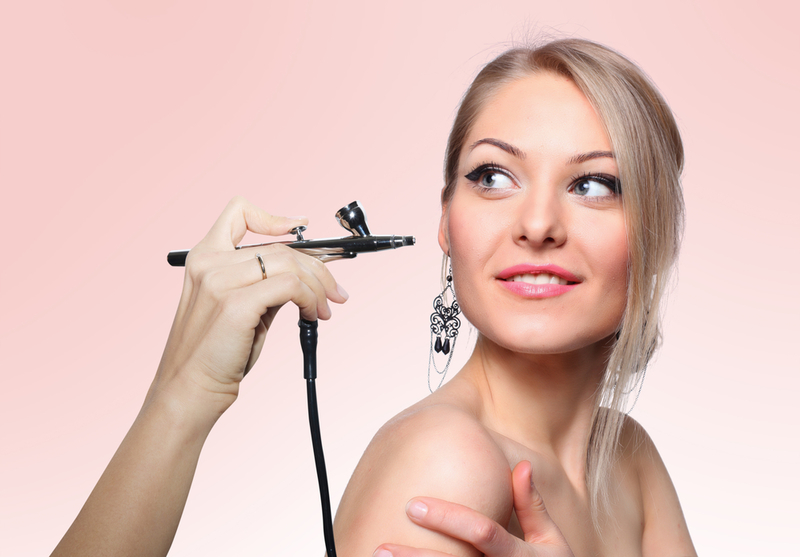 Airbrushing is excellent for the skin because it sits on top of the skin, and not in the pores. Airbrish make-up is efficient, long lasting, natural looking and is amazing in front of the photographer's lens. All products are top of the line professional cosmetics produced for professional makeup artists.